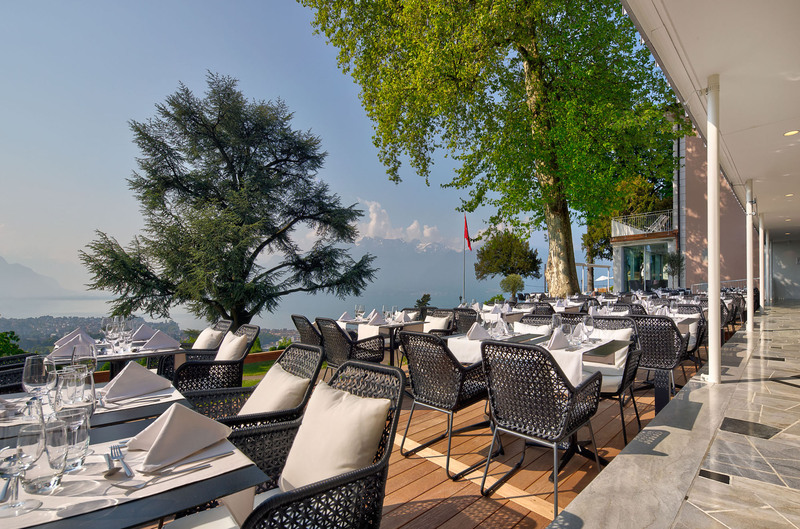 Located in the idyllic setting of the hotel grounds, our large, shady terrace offers splendid views over the lake and the Alps. On fine days, it’s the perfect place to enjoy a delicious meal in the open air and savour the moment with colleagues or friends. 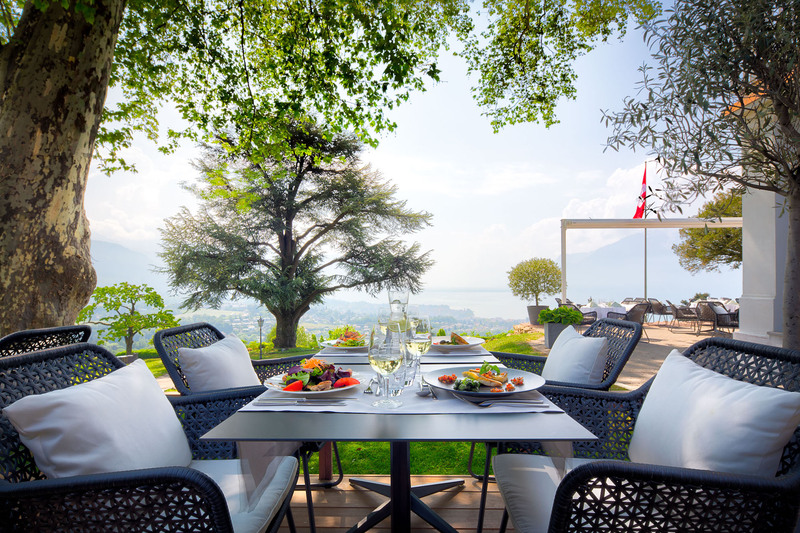 Just next to the pétanque court, the Summer Lounge overlooks Vevey and the Vaud Riviera. 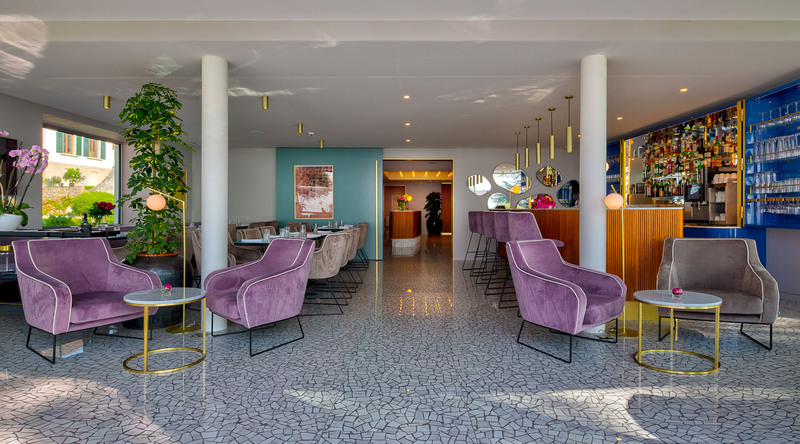 With comfortable armchairs and coffee tables, our guests particularly enjoy using this space for parties, outdoor buffets and get-togethers. 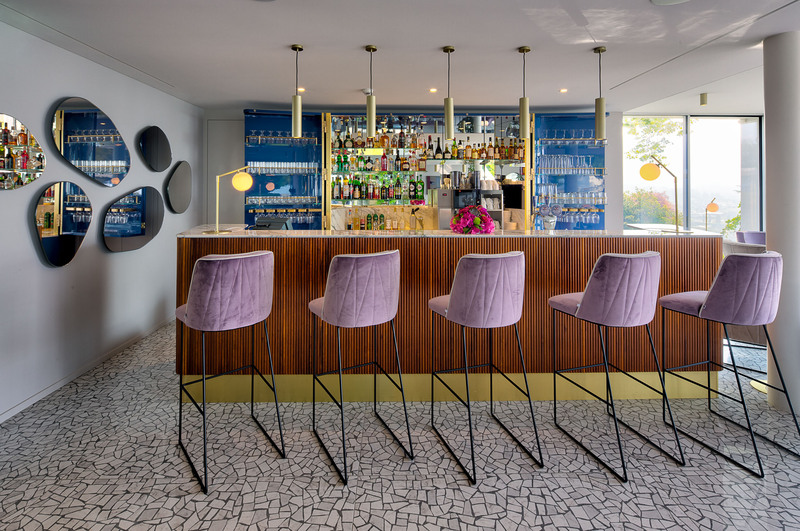 For drinks before dinner or later in the evening, our bar offers a warm, relaxed atmosphere. 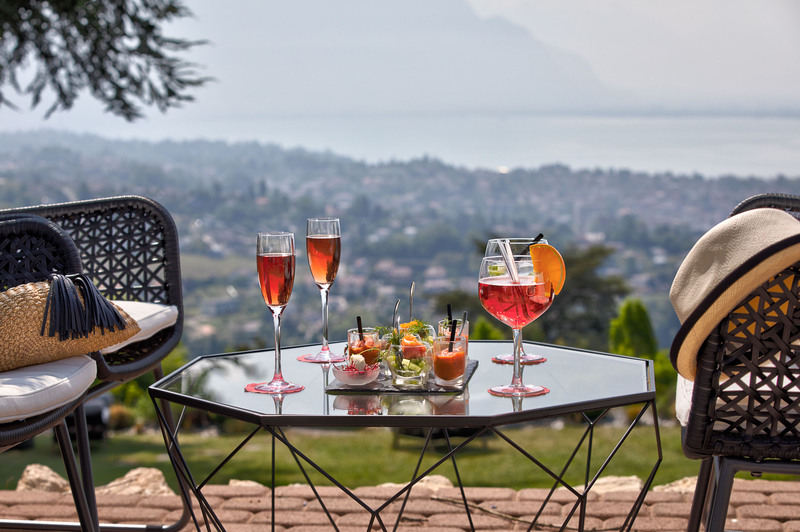 The large windows look out over Lake Geneva and the Alps, a breathtaking backdrop that changes and transforms over the course of the day.